It's occurred to me that I've been a little too cavalier in these Dragon Award posts, and I should probably start spelling out what the bleep is going on a little bit better before I go on a tear. To start with, Dragon Con is one of the biggest SFF conventions in the United States, if not on the face of the Earth. Held in Atlanta each year, Dragon Con hosts a minimum of 60,000 people each year -- and we will probably never know how much they really host, lest they get in trouble with the fire marshal (I'm not even kidding). I have, of course, posted Dragon Con reports, so many that if you click the tag DragonCon, you'll see all of my reports. 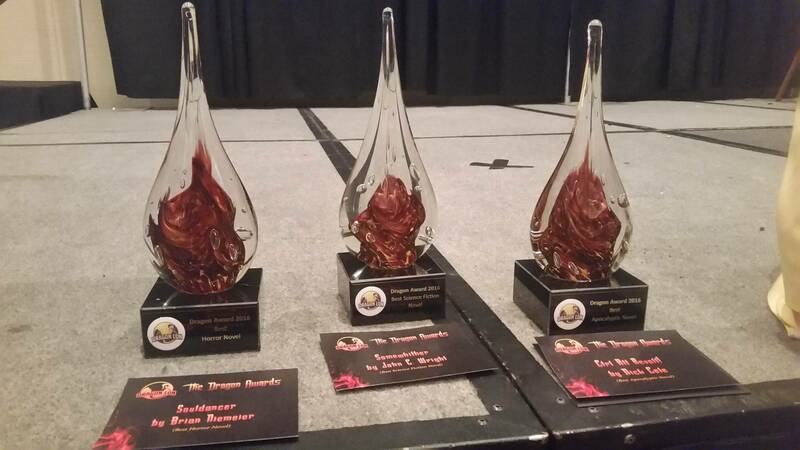 And, of course, Dragon Con has created its own award -- the Dragon Award, pictured left. 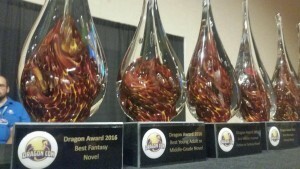 Unlike a certain other set of awards that shall never be named, the Dragon Awards give out awards by genre. The Dragon Awards are also unique in that they do not go by calendar year, but from the start of July to the end of June. I've done this list a few times already. 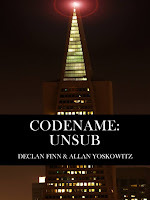 Once was done over on the Superversive SF blog, using a list of Superversive books from last year that fit their standards. That was a bit of a problem with several of the books, since not all of them were SFF. Set to Kill was one of the books on the list, but not eligible -- since it's a murder mystery that takes place in Atlanta, at a place called WyvernCon, in the middle of a political war about Tearful or Hydrophobic Puppies versus Puppy Punters from traditional Big Publishing. Obviously, this book has no similarities to real events. I've mentioned the genres, and I've mentioned the place. Now here's the important part: the who. Yes, anyone can vote in the Dragon Awards, whether you have attended the con, or if you will never attend the con. You can vote here, once you're registered. Keep in mind, you can only vote for each book ONCE. If you try to vote for, say, Murphy's Law of Vampires in more than one category, like best horror / best fantasy / best YA, your ballot will be invalid. I will reiterate, because this has been a problem: this isn't a calendar year eligibility process, nor are these categories by length, but by genre. 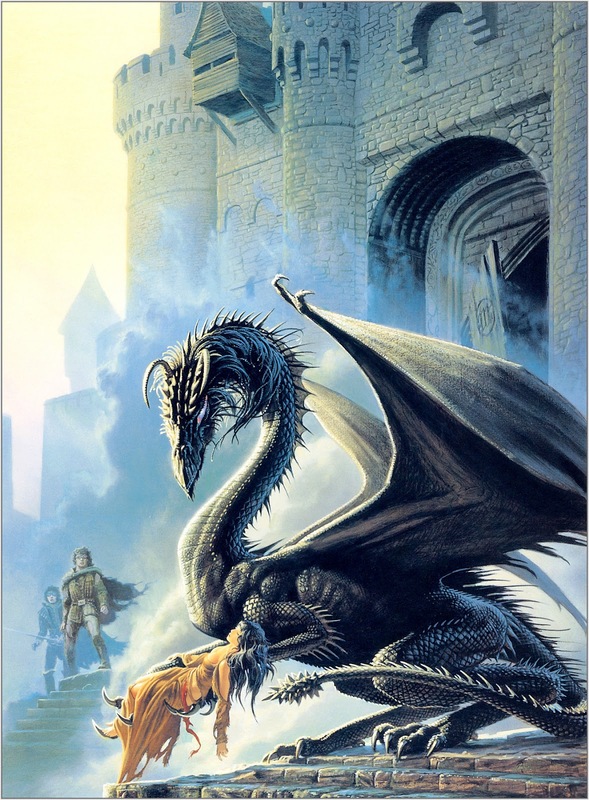 And yes, you can wait until the end of July to nominate various and sundry novels for the Dragons. You can vote at the end of July if you like. I don't recommend waiting quite that long, since the Dragon award website encourages early voters. So, vote early, vote often? .... Nah, only if you're in Chicago. I have not read all of the following. In some cases, I've had less and less time to read the more I write. And I've submitted to ... a lot this year, so I'm a little all over the place. Also, there are some genres I just don't read, usually. I tend to avoid Horror and Alternate History, even though there are some books that are going to change my mind (Brian Niemeier and Lou Antonelli, for example, for horror and Alt History, respectively). If you have thoughts or suggestions, then by all means, COMMENT. Escaping Infinity: Richard Paolinelli. I reviewed this book, and it was awesome. This is my candidate. This is also the candidate of Jon del Arroz. So this should tell you it's not just me. Timothy Zahn: Thrawn -- Yes. It's out. I haven't read it yet, but it's on order. And yes, I do suspect this to be the Godzilla that bigfoots the entire proceedings. Any other author on this list, if you're reading this, get your fans to vote, and hope Zahn doesn't want the award. God, Robot, by the Wrights, et al: Missionary robots. I interviewed the authors of this anthology last year. Torchship Pilot, Karl Gallagher. You might recall him. I interviewed him on the show a few times. He's an awesome guy, and he should probably win on the hard SF aspect alone. Blood of Invidia, by Tom Tinney. Vampires from space. Hemophagic aliens. Yes. Interesting, ain't it. Haven't read it yet, but I've had Tom on the show twice before. The Secret Kings, Brian Niemeier: This is book three. Souldancer was book #2, and won best horror in 2016. 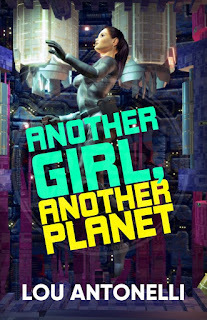 I;d say this is also eligible over in horror, but the description looks very Space Opera. Read it and you tell me in the comments. When I asked Brian on my radio show, he didn't have an opinion. The description reads like David Weber versus Cthulhu. Murphy's Law of Vampires: This is here mostly as a place holder. In part because I don't want to be the schlub who doesn't vote for his own book. Especially since Murphy's is the choice of Richard Paolinelli. Also, I've got multiple books out this year, so this helps. This one could go here, or it could go in horror. There is not, as yet, an Urban Fantasy category. However, if you wants someone interesting, and who isn't me, then there's Keeping the Faith, by William Lehman: Don't let the 2015 date on Amazon fool you, this came out in November of 2016, Take a look at it. Think of it as less urban fantasy and more .... forest fantasy. Long story. Let's also consider Jon Van Stry and his Hammer Commission, book 3, Loose Ends. I haven't read it, but it's eligible. I would have put him in horror, even he doesn't think it works. Rachel and the Many-Splendored Dreamland, by L. Jagi Lamplighter. I've only read book 1 of Jagi's series, but I've liked enough of it to conclude that I'd suggest people take a look at this before voting. Richard confirms this one. As does Jon del Arroz. Path of Angels, Dawn Witzke. Yup, my cover artist has a book out. It's Christian dystopia road trip. Yes, it is another long story. How'd you guess? Van Ripplewink: You Can't Go Home Again -- a CLFA contender for Book of the Year, and on the Superversive list. Give it a whirl. There is some overlap here between the military SFF novels and their other categories. If one is torn between two Monster Hunter Memoirs, or two Hammer Commissions, or two Finn books, voting here and in scifi or fantasy is the easy way to split the baby. Ringo, Monster Hunter Memiors: Sinners and / or Ringo, Monster Hunter Memoirs: Grunge are both eligible. And they are both awesome. Also, I needed something for this section. Star Realms: Rescue Run, by Jon del Arroz. Jon's another good guy, and I think that giving him an award would be highly, highly ... amusing. Heh heh heh. It's a long story. Start with BayCon, and work forward from there. If the book's half as awesome as he is, it deserves a look. There's also Cartwright's Cavaliers, which was mentioned in my circles lately. Perhaps Loose Ends and Cartwright's Cavaliers should go here as well. But that's a coin toss. DragonCon will decide what goes where. So don't worry. This will be Lou Antonelli's first DragonCon ever! Can you imagine that? No. I'm not suble. But Lou's a good guy, and he literally does panels on alternate history, time travel, et al. And this is his first novel. I can't think of anyone I'd rather give it to. And yes, I know that Harry Turtledove is the king of this genre, and he has Armistice: The Hot War book 3. But, like with Zahn's Thrawn novel, just because he's the big name in the room doesn't mean I'm not going to vote for Lou. Dave Shuster has been confronted by secret government agents over a photo taken by a Mars lander of a graveyard complete with crosses on Mars. Shuster claims that – in an alternate timeline – he was a low-level bureaucrat in the administration of a joint U.S. – Soviet Mars colony when he was caught up in a murder mystery involving the illegal use of robot technology. In that timeline, the Cold War took a very different turn – largely influenced by Admiral Robert Heinlein, who was allowed to return to Naval service following World War II. And, as I'm just discussing what's eligible right now, there is also the juggernaught that is Eric Fint and his 1632 fanbase. He's got three books out this year ... however, I think he already got a Dragon Award, so I don't even know if he wants another one. They're eligible. I have yet to start the series yet, so no advice from me. I hate dystopias. It's one of the reason I cowrote my own. 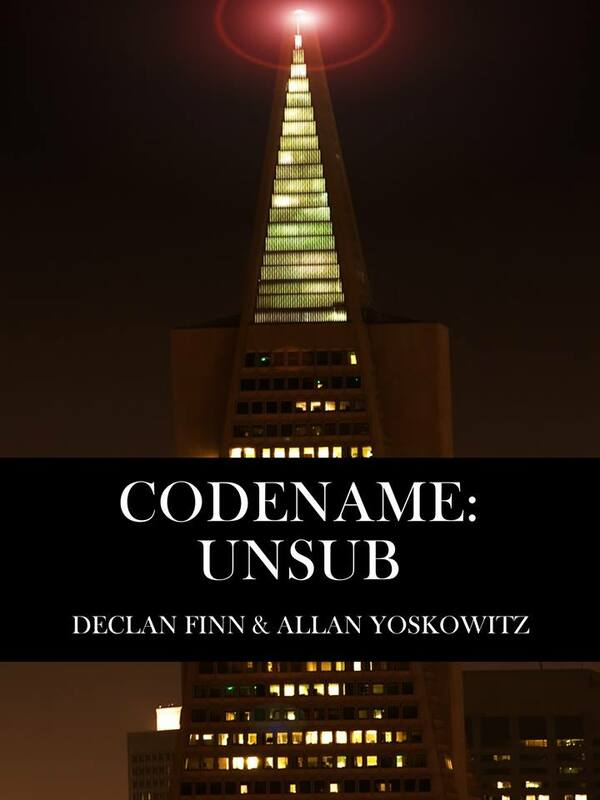 Codename: UnSub, by me and my coauthor, turns San Francisco into a wasteland that's being haunted by a serial killer. I can say that The Injustice Gamer really liked this one. Cadain's Watch, the sequel to Daniella Bova's Tears of Paradox, is out. And boy, is it apocalyptic. No idea if I'll be able to read it before voting. I suppose I should take it as a sign of improvement that I actually had candidates last year. This year? Nada. To steal from the CLFA list, however? Live and Let Bite ... As I've said before, this is the book. This is where I'm putting my money. I have made my case for it to win a Dragon. As I said before, this is everything from Honor at Stake and does more. Romance? Action? The stakes? Pressed down and overflowing. Yes, I would love for this book to be registered under "Urban Fantasy," and then thank God that there isn't a Harry Dresden book out thus far this year, but aside from that ... I have demons and vampires and minions with machine guns. This is probably where I will make my stand, whether I like it or not. 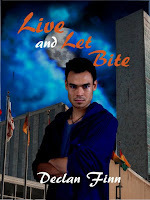 Murphy's Law of Vampires ... no, this I'm not recommending, again, since there's Live and Let Bite. Murphy's is merely eligible, and that's about the extent of it. Jon del Arroz concurs. Really. Then again, given my luck, everyone will vote for Murphy's and ignore Bite. Which will confuse me no end. Richard already has. And .... that's it. Sorry, I'm not a big fan of horror -- too much nihilism, depression, and "let's kill people who are too stupid to live." For the record, I would like someone to tell the Dragon Awards to start an Urban Fantasy genre (also known as the "Jim Butcher award"). Perhaps a paranormal romance category? I'm going to start skipping at this point, for reasons that will become clear. Please forgive me on this. Grimm is in its last season. I'll guess this would get it, just so it can get one before disappearing. iZombie is coming back, and it is the best Zombie show ever. Luke Cage ... was boring. Don't do it. Yes, Lucifer is eligible, but I wouldn't suggest it this season. Too much time spent with his mother. Yes, really. Stranger Things was suggested last time. Doctor Strange -- My personal favorite... Yeah. That's about it. And I don't see that changing anytime soon. Fantastic Beasts and Where to Find them -- Not a personal favorite of mine. In fact, I think it is interesting for what it added to the world, not because it was a particular engaging film. 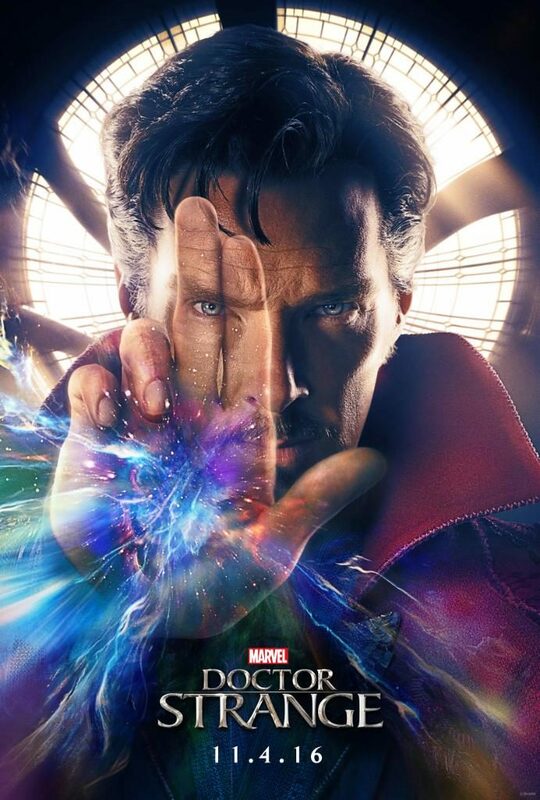 I'd rather Dr Strange than Guardians of the Galaxy 2. Kong: Skull Island ... I never got to see. Wonder Woman ... I'm hopeful. The Mummy? God, I hope not. No more Tom Cruise! Resident Evil: The Final Chapter .... no, no no and HELL NO. Spider-man: Homecoming. .. Is coming out in July, and is eligible for NEXT year. So we'll see how that goes. Titanfall 2? Perhaps. I've heard good things about it. Total War: Warhammer. I've seen some good reviews on this one. As for the rest ... damned if I know. I'm still catching up to Rise of the Tomb Raider. And no one I know wants to give props to Mass Effect: Andromeda. However, there are people out there who have some thoughts on the matter. The Injustice gamer can help you fill these in, if you're interested. Enjoy. 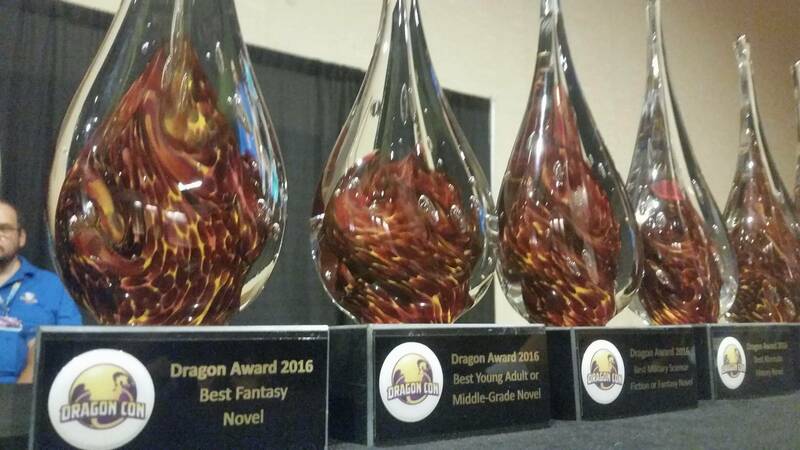 CLICK HERE TO NOMINATE IN DRAGON AWARDS NOW, IF YOU WANT TO. But, again, you can hold off until July if you like. But I'd do it sooner, rather than later, if I were you. Feel free to post some reminders and thoughts. No, really. Please post your thoughts and suggestions below. I need all the help I can get. Thanks, Declan, for the recommendation! Much appreciated! So what happens when space travel becomes routine? When does a colony on Mars become just another small town? And what happens when robots find God? 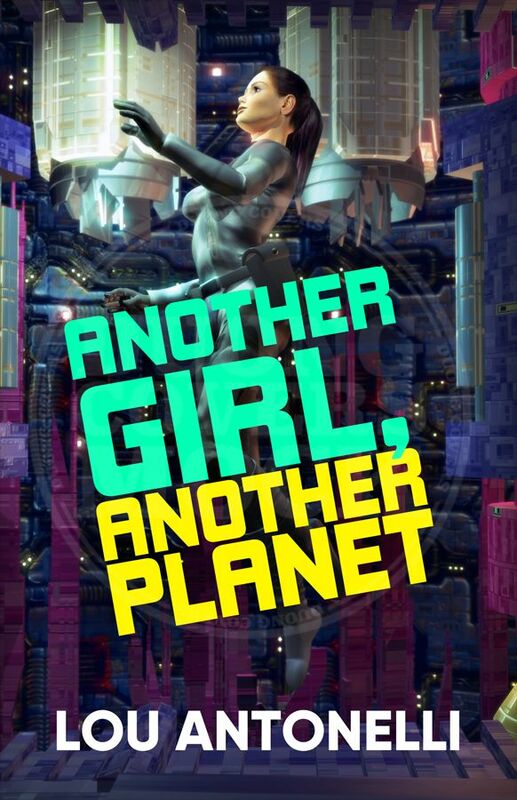 These questions and more are explored in Lou Antonelli’s Another Girl, Another Planet. So, you haven't read most of your own suggestions, and your recommendations consist primarily of "this guys my friend and he should have an award because REASONS." It's good to see the Dragon Awards are a prestigious institution looking to recognize the best writing in a genre, and not a bastion of some insular clique promoting awards for their friends. Good Luck with it! Please point out where he said he is recommending everything on the list. Pointing out works are eligible is not the same as recommending them. And you might have a point about insular groups and awards if you were talking about the Tor Awards given out at TorCon, but this isn't the Tor Awards. Anyone can nominate and vote. It's his recommendation. It's his prerogative. Go concern troll somewhere else, sperg. Why would you recommend something for an award if you haven't read it? Learn the difference between what he is actually recommending and what he is pointing out as eligible, though he hasn't yet read it. Its called English, go back to school and pay attention in class this time around. "I think that we should do something nice to commemorate this, and see if we can get him a Dragon Award for his book Another Girl, Another Planet"
Which he previous said he hadn't read…. "I tend to avoid Horror and Alternate History, even though there are some books that are going to change my mind (Brian Niemeier and Lou Antonelli, for example, for horror and Alt History, respectively)." "are going to" is future tense. Haha. People who complain about "recommending books he hasn't read" themselves haven't paid attention to the post. Otherwise they would see which are "recommendations," which are "would be cool if this person won" and which are "just FYI this one also might be good." Reading comprehension is a thing. Suggestion: Rob Kroese's Aye Robot. My only question is where would you put him? Best SF?